Schroeder's 3rd book in free verse is achingly poignant as Brooklyn and Nico still mourn the death of Lucca. Brooklyn was madly in love when Lucca was taken from her and she is still missing him, writing him letters and buying their favorite comic books. Her mother has left with her 2 brothers and Brooklyn remains with her father. Nico was Lucca's younger brother, but they were very close. Nico's best friend, Gabe dies and Both Brooklyn and Nico are stunned. They knew he was suffering, but they were in pain themselves. Now Brooklyn has nightmares about Gabe and Nico is being haunted by Lucca TO HELP BROOKLYN. That is easy for a ghost to say since Nico is still running away to handle the pain. To honor his dead brother's wishes, he encourages Brooklyn to change, start running with him and participate in a marathon. I was compelled to read this book, I felt so badly for Brooklyn and Nico, will they find that they can go on without their beloved Lucca? A must read! It has all the elements YA's will love--drama, suspense, fear, anger, loss and longing! 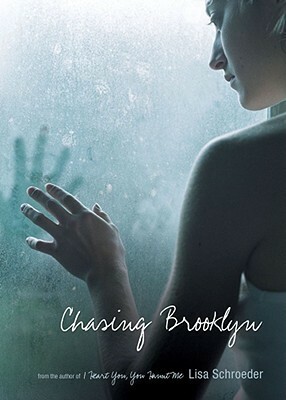 Sign into Goodreads to see if any of your friends have read Chasing Brooklyn.